Element blocks introduce sideplates that combine forged aluminum and compound curves for strength. They are simultaneously contemporary and very robust. 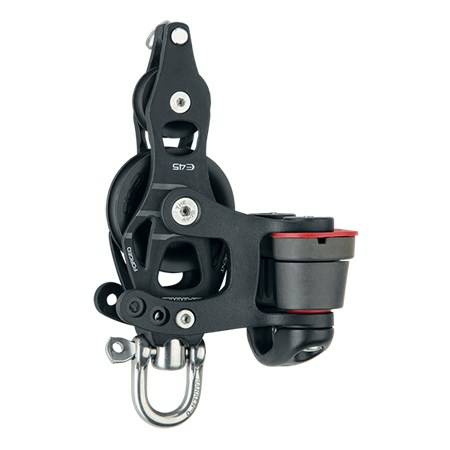 Element’s design pairs the minimum amount of metal required to protect the sheave with a proven journal bearing. So size for size, Element is priced significantly lower, than our previously least expensive blocks. Sideplates are hardcoat-anodized to resist corrosion. A tough composite bearing sheave resists corrosion for a long service life.